Home11:11Your 2017 Numerology Forecast – Will You Make a Fresh Start? Your 2017 Numerology Forecast – Will You Make a Fresh Start? Happy New Year! 2017 is a Universal 1 Year of new beginnings, tribal healing and self-confidence. What a chance to reinvent yourself – this is the year you’ve been waiting for. Is there a link with Chinese Astrology? What happened last Universal 1 Year? Why did 2016 hurt so much? 2+0+1+7 = 10, which reduces to 1 in numerology, the ‘action hero’. In Tarot, the 10 Card is the Wheel of Fortune, and the 1 Card is the Magician. Both are lucky. They represent the rewards from good deeds, and following our instincts. TIDE adds to 20 in numerology, and KARMA adds to 17. So, 2017 can be read as TIDE-KARMA, i.e. a chance to ‘turn the tide’, wash away regrets, and ride into the future on a wave of positivity. I explain the Pythagorean system here. 1 looks like someone standing up, ready to run (or surf!) Think of grass growing through a crack in the sidewalk and you’ve got 1 energy in a nutshell. Luck is when preparation meets opportunity. Numbers go from 1 to 9 and then repeat, so we ALL began a nine-year, global cycle of learning in 2017, which ends in 2025. The energy of ‘beginnings’ will be strongest in September 2017 (a Universal 1 Month, in a Universal 1 Year). How exciting! Key themes for the planet: ‘out with the old, in with the new’, justice, the collapse of ego-driven economics, community-building, gypsy living, un-masking of corporate deceptions, finding out where we come from (aliens, UFOs etc. ), environmental wake-up calls, heeding our inner voice, the rise of crystal, sound and energy healing (especially for kids and animals). You’ll see more ‘tribes’ forming, as 1 energy is about banding together and protecting our valuables. -carrying two or more 1’s in your DOB, a 1 Destiny/ Career Number or Soul Urge / Relationship Number. You will be busy! 2 represents the Sacral Chakra – intuition, feelings, the Divine Feminine, and partnerships (especially with our mother and women). Think of the 2 as a swan, happiest paddling with friends. As with 2016, this is a year to see people as teachers, not rivals (see this post on staying friends with your ex). 7 represents the Crown Chakra – trust, psychic connection and knowing. 7 is about the long way to the top (it looks like a detour), and healthy scepticism. Everything you learn, you take into future incarnations. Those who grasp their immortality, raise the vibration of those around them. Consciousness, like laughter, is contagious. 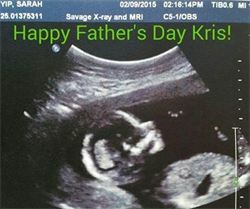 When my partner and I were trying for a baby, it wasn’t about falling pregnant, so much as getting our lives into shape. Even when I was in labor and sacred, I thought ‘it’s ok, our Souls will be fine.’ Motherhood has been so enlightening. More baby articles. So, pick a big goal and start climbing it. Don’t just take selfies at base camp, pay for quality guidance (like a psychic reading with me, or a healing with my friends), and get going! Today is the youngest you’re ever going to be. Absolutely. We enter a Red Fire Rooster Year on 28 January 2017. Rooster Years are about loyalty, decisiveness and initiative – exactly how we define 1 energy in numerology. The rooster is the 10 sign in the Chinese Zodiac, which matches the Universal Year (2+0+1+7 = 10/1). So perfect. -Roosters crow at dawn. 2017 will bring wake-up calls you can’t ignore, no matter how good your earplugs. Make the most of it. -The chicken comes before the egg. Mother yourself, and your babies will prosper, be they kids, or a new business, book etc. -Roosters are show-offs. There’s no hiding now. If you’re in integrity, you’ll get offers. If you’re a phony, prepare to face the music. -Don’t be a headless chook. Eggs/ ideas don’t always come out on the first go. When I worked in Government, a colleague had a chicken who squawked all night. Eventually, she laid a monster sized egg. It even had ripples from where it got stuck. You might feel like that hen this year. Give yourself time and space to deliver the gold. That may mean more holidays and massages! Universal 1 Years bring much-needed upheaval at the leadership level – they’re a cosmic spring clean. Financial and political changes are common. 1 Years bring imbalances to light, which can take years to address. *Putin is one to watch in 2017-2018 – as a radical 7 lifepath in numerology, he thinks differently to other world leaders. His chart shows a major achievement between Oct 2017 and Sept 2018. This success has ‘9 energy’, which is about global healing. Fingers crossed he uses his power for good. As I wrote in my 2016 forecast, last year was a Universal 9 Year of Conclusions and Rewriting History. 9 looks like someone praying – it’s about deep thought, letting go, and new hope (9 resembles a spiral, or fern, ready to uncurl). For many of us, it’s easier to breathe in (take in), rather than to breath out (release). We’re afraid we’ll run out of air/ luck/ life! That’s why yoga is so helpful – it balances everything. If you can’t get to a class, try this tip: Breathe in slowly for 4 counts, hold for 2, breath out slowly for 4 counts, hold for 2. Repeat for a few minutes, or until you feel relaxed…it’s free and it works! At the human scale, 2016 was marked by upsets. Spirit shocked many, by calling icons like Prince, George Michael, Carrie Fisher and her mother Debbie Reynolds home. We also saw Donald Trump become U.S. President, terrorist attacks in Paris and other nations, and protests at Standing Rock. If you, like me, had wild ups and downs in 2016, I feel your exhaustion (ah, motherhood!) Many sensitives, including myself, lost their voices due to bronchitis or laryngitis in late 2016. This was a reminder to ‘speak up while you can’. Thank goodness for homoepathy, Australian Bush Flower Essences, yoga and Reiki, or I’d still be coughing. More on healing a stiff neck/ your Throat Chakra. *If you see 11:11 or repeating numbers, are into alternative healing or spirituality, want to help people on a mass scale, are psychic, struggled in childhood etc. you’re one of us! All humans are Starseeds, but I’m referring to those who’ve recently lived in other dimensions. Please, don’t dismiss this lightly – do research including past-life regressions, before making up your mind. When you realise you’re immortal, life’s so beautiful. It took me ten years to embrace my divinity, and I’d do it again in a flash. 2018 is a Universal Master 11 Year of Spiritual Growth and Partnerships. The next decade delivers huge openings for awakening people to bring their beliefs into the open. We will see waves of healers and 11:11 See’rs, who take a stand against misinformation. ‘As we raise our vibration, we will be tested’, so it’s vital to strengthen ourselves for the journey. It’s going to be huge. As a psychic reader in Brisbane, I use numerology, palmistry, Tarot and clairvoyance to help you plan ahead. The system I use has been refined over thousands of readings and is extremely accurate for each year/ month/ day. Find your personal year numerology forecast. What’s the difference between the Universal Year and my Personal Year? Both are nine year cycles. The Universal Year (e.g. 2+0+1+7 is a 1) affects everyone, while your Personal Year is based on your day and month of birth. It runs from birthday to birthday, however for those born from October onwards, there can be overlap. 2+0 = 2, so from Jan 2017 I am in 2 Personal Year of Partnerships. That’s why I’m getting married soon. So I’m one step ahead of the Universal 1 Year (or eight steps behind – probably a mix of both). Let’s just say, my 1 Personal Year of Beginnings was full-tilt, one of the most intense and exhilarating adventures I’ve ever had. Baby + business + engagement + major shifts in self-image = so grateful. 2017 invites us to take inspired action, on behalf of ourselves, and humanity. God can only work through our hands – that’s why they say ‘the best way to predict the future, is to create it’. We’re given our lessons in a Universal 1 Year, so keep track of any themes in 2017. They could mirror what you experienced in 2008, or even 1999. An accurate diagnosis is 99% of the cure. Becoming aware of your patterns now, could save your life later. Here’s wishing you a prosperous 2017, where you discover your true worth and never sell yourself short, ever again. Big love. Past Life/ Life Between Lives Regression with Karen Joy I’ve seen her twice this month. Her book is also amazing. 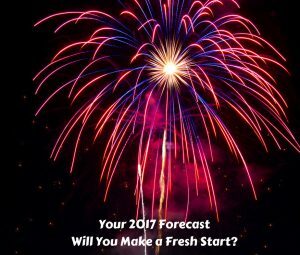 2 Comments on Your 2017 Numerology Forecast – Will You Make a Fresh Start?